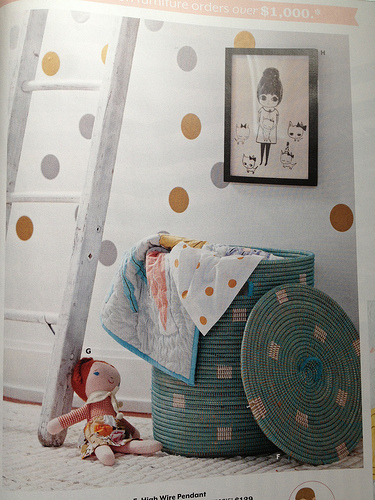 This might be my most favorite game ever, hunting for Wee Wonderfuls dolls in the gorgeous Land of Nod catalogs. 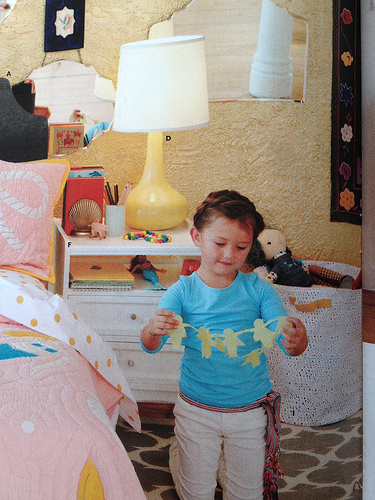 I can’t even tell you what a kick I get out of seeing the dolls in these gorgeous, adorable, sweet kids’ rooms set ups. 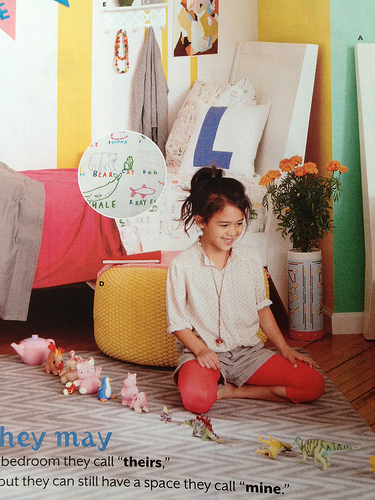 I’ve been obsessed with the Land of Nod catalog since they switched over from a more straight-forward catalog shoot to this brilliant new format with the lived in, awesomely messy, real life looking styled kids rooms. (request a catalog here if you’re not getting it) I pore through this catalog like it’s the latest edition of Milk magazine. Like it’s one of those Paumes lifestyle books. It’s so so good. And now my toys are in there in the mix! These baskets!! I need to go order one right now. And ha! Look what it just reminded me of.. I tried to make something like this and it was a flop. Now I can buy this super cool one. yay! And there are no w.w. here but I just love this photo. My kids so used to do this all the time. Line up all their toys. Cute! I played this game too! This is really cool! Congrats! I love looking for weewonderfuls too! 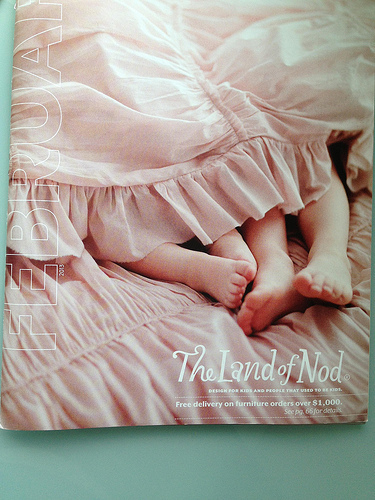 I love Land of Nod and I wish I could live in that catalog. As having made a ton of your stuff – I’m just so proud of you when I see the LON catalog! It’s just so awesome! 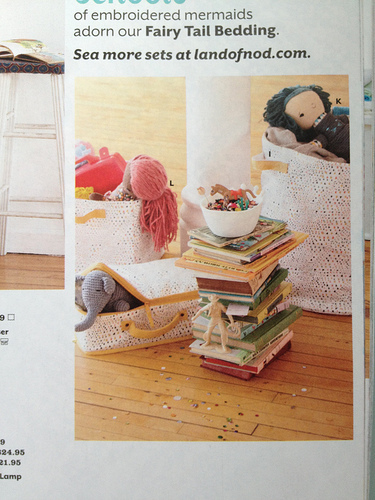 I got my new catalog in the mail yesterday and the first thing I did was look for the dolls! YAY!! I love this Hillary, congrats! !